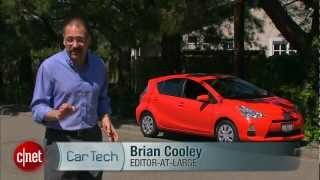 TORRANCE, Calif., Nov. 15, 2011 /PRNewswire/ -- Toyota Motor Sales, U.S.A., Inc., will offer a fuel-efficient hybrid at a more accessible price when the Prius c joins the Prius Family of vehicles in the spring of 2012. 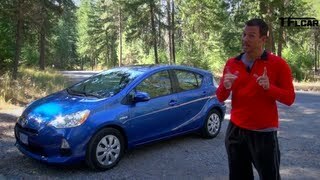 The U.S. debut of the Prius c will be next January at the 2012 North American International Auto Show in Detroit. 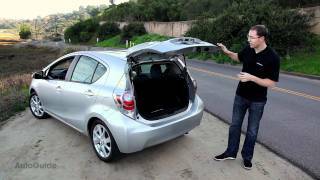 As with other Prius models, Prius c combines its revolutionary Hybrid Synergy Drive® with excellent aerodynamics to achieve outstanding fuel efficiency. 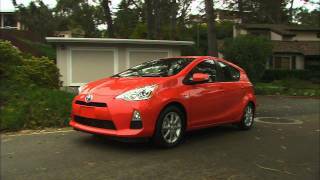 The new Prius c is unique in the Prius Family with a more youthful expression and a sportier dynamic character that offers a more fun-to-drive experience. The vehicle's five-door format and flexible packaging will adapt to a broad range of owners' needs. connectivity, steering-wheel audio controls, and nine airbags will be among the standard features on the 2012 Priusc. In addition, owners will enjoy a new dimension of connectivity courtesy of the available Toyota Entune™ multimedia system. Entune™ leverages the mobile smartphone to provide a richer in-vehicle infotainment experience with fully integrated access to navigation, entertainment, and information services. It allows users to connect with popular apps such as Bing™, OpenTable.com, and movietickets.com. Entune™ also provides access to real-time information services, such as live weather, traffic, fuel information (location and price), stocks, and sports. 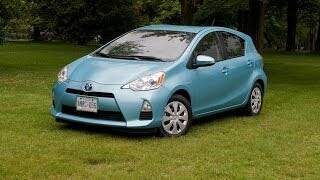 The Prius c also offers voice recognition, music streaming, and email/text to speech capabilities. Toyota Entune™ brings one of the largest selections of music options available to a vehicle, including iheartradio's 750+ stations and Pandora® internet radio's personalized music. In addition, the driver's personal songs from portable media players and iPods (via USB or Bluetooth® audio streaming), and more than 170 stations from SiriusXM™ satellite radio are also available.